Pamela graduated from Bristol Community College class of 1983 and has been practicing in the greater New Bedford area for over 33 years. She was born and raised in Fairheaven, and resides there still with her husband Paul and their dog Ollie in her childhood home. 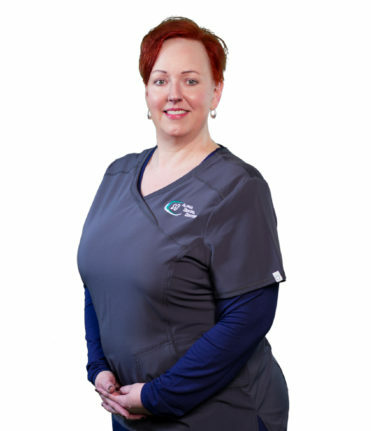 Pamela takes great pride in the fact that she has been able to care for the dental needs of many families in the area. Watching their children grow, and now treating up to 4 generations of the same family. Always greeting her patients with a smile, Pam believes laughter is the best way to make them feel comfortable and at ease. She has cultivated many of these patients into her “dental friends.” Out of the office, you may find her tending the garden around her home, cooking for family and friends or traveling with her husband.